AudioOrb: Into the universe of music. The first and only speaker of ultimate sound experience by Studio Total. 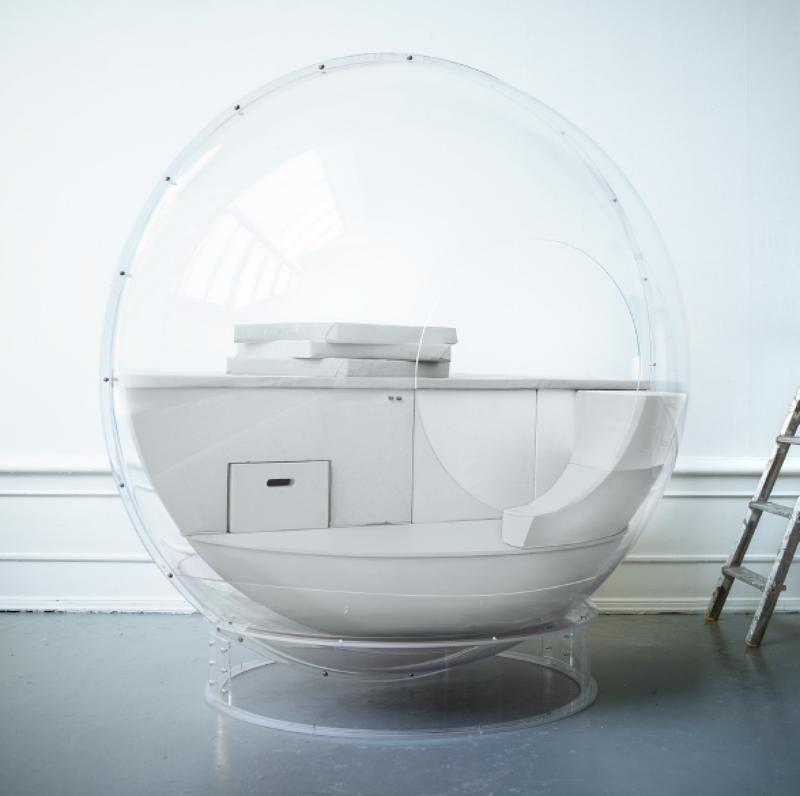 Based on the Micasa lab Cocoon, the AudioOrb is designed by Scandinavian creative lab Studio Total and Pjadad. The cutting edge speaker that allows users to insert themselves into an isolated space housed with 18 mounted high fidelity speakers. 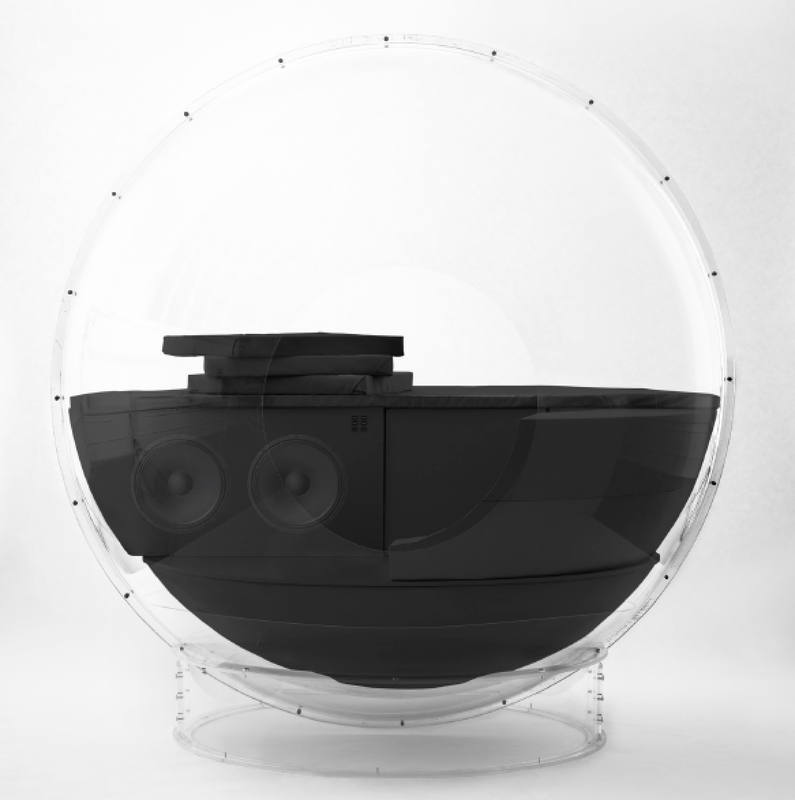 The spherical pixiglass space minimizes outside interference to ensure high quality of rich and full audio spectrum. Interior furnished with tempur-pedic pillows that adjust to the shape of your body to give you the lightweight sensation. Now here is the catch, only two units will be consturcted! It's now or never. 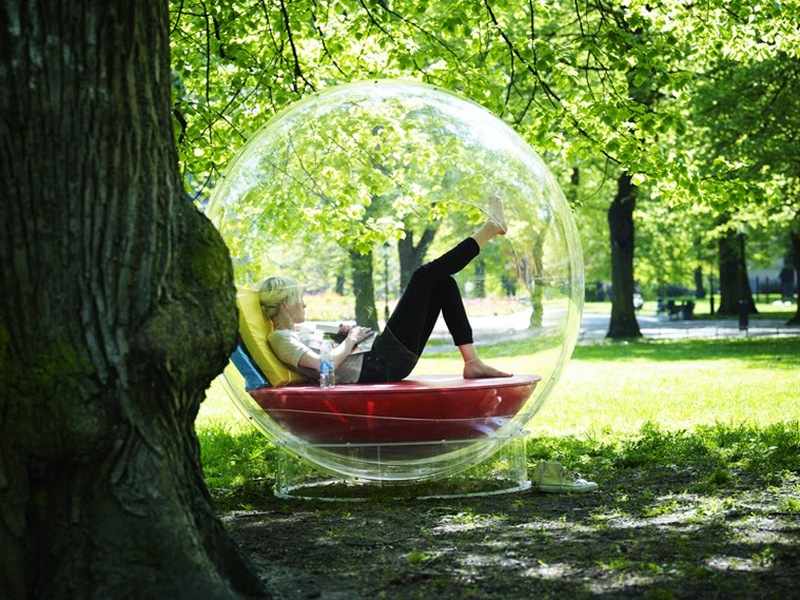 Want your own sound bubble to huddle, click here.